Clay Jenkins returns home from school to find a mysterious box with his name on it lying on his porch. Inside he discovers 13 cassette tapes recorded by Hannah Bakerhis classmate and crush- who committed suicide two weeks earlier. 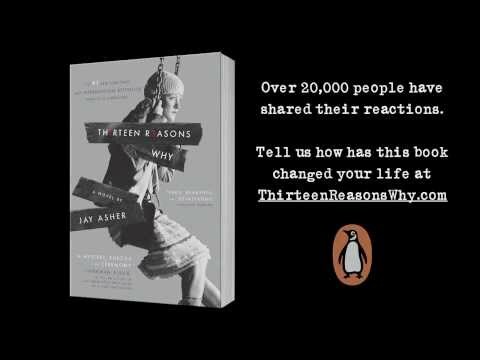 Jay Asher's debut YA novel, Thirteen Reasons Why, has appeared regularly on the New York Times bestsellers list for the past nine years. It has sold over 2.5 million copies in the United States alone and is currently in production to be a thirteen-part series on Netflix. His second YA novel, The Future of Us, was coauthored with Printz Honor winner Carolyn Mackler. He is also the author of the forthcoming What Light. His novels have been translated into thirty-five languages. 13 Reasons why was intended for a gift for my daughter to read for english at school and she found it very usful and a good read.